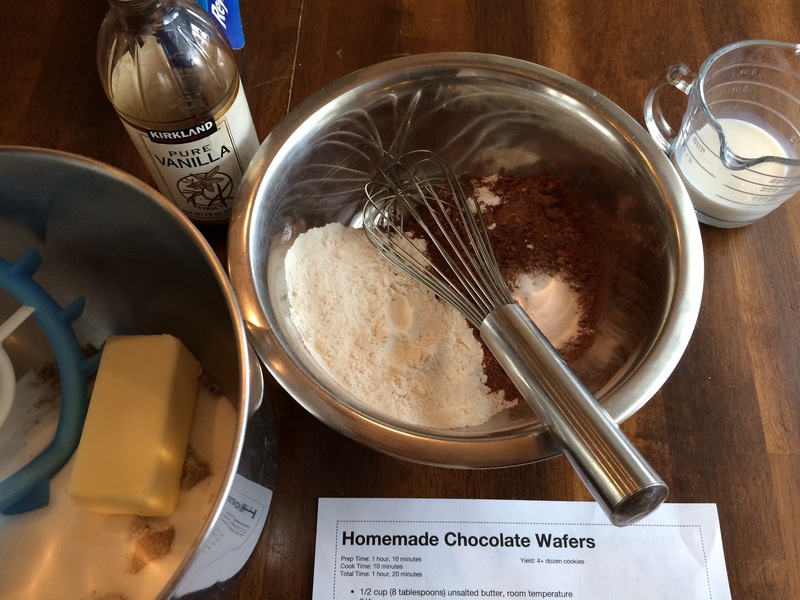 Chocolate Wafer Cookie Recipe- Yes, You CAN Make These Yourself, and THE BEST Ice Cream Sandwich, too! …and they taste WAY better than store bought wafer cookies, or Oreos, and this only leaves me to wonder. What kind of dessert Nirvana would I arrive at by crumbling these cookies into a high quality vanilla ice cream? I had a goal to hunt down a chocolate cookie recipe because I thought I could make a better one than those that make up the basic ice cream sandwich. No problem. One internet query and voilà. 3,000 recipes to choose from. Overwhelmed, I retreated to my Pinterest board, “Sweets,” where I knew I had a few promising candidates. I don’t know if I will try any others, this one was great- SeededAtTheTable.com has a simple, super-chocolaty wafer recipe with butter, vanilla, sugars, flour, baking soda, cocoa, and milk. That’s it. 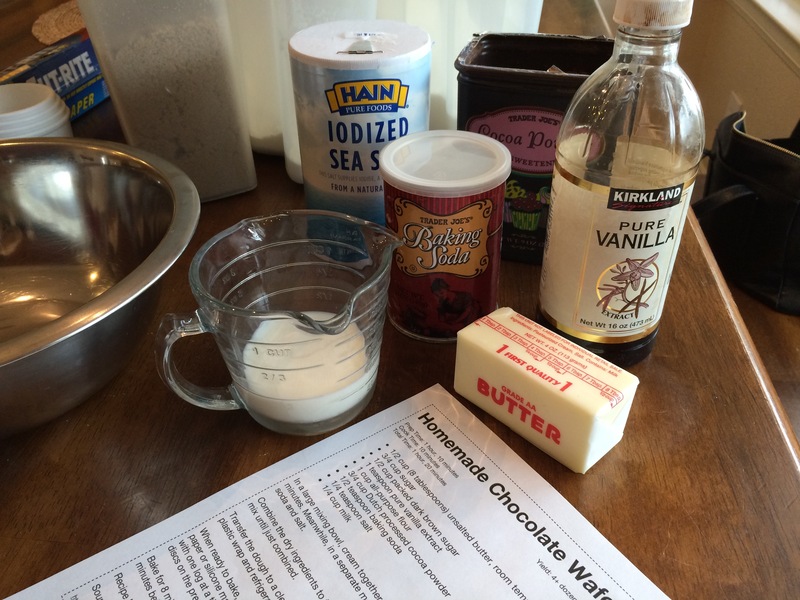 Butter goes into the mixing bowl with the sugars, cream these ingredients, then add the vanilla (I added two, an extra one just for my mom). 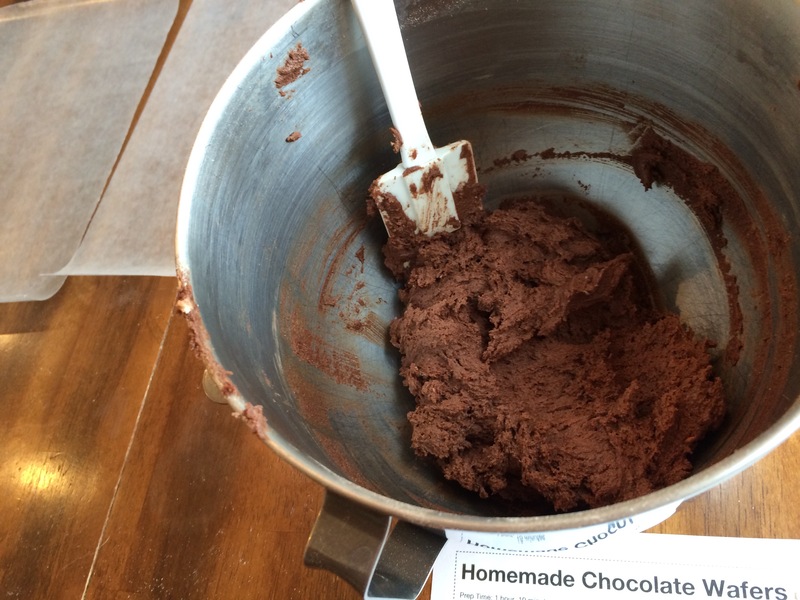 Into another bowl goes flour, cocoa, baking soda and salt to whisk together. Two Good Tips: I usually use regular butter, not unsalted, then add less salt than a recipe calls for; and if you want to be smart, always strain your baking soda or powders through a fine sieve… no one likes biting into a cookie to get a lump of baking powder… yuck. Cream the heck out of the butter and sugars to get a nice, fluffy texture- you know, this takes at least a couple of minutes, don’t give up if it takes even five minutes to get that lighter, fluffy consistency- add the vanilla and cream a little more, then add the dry ingredients. 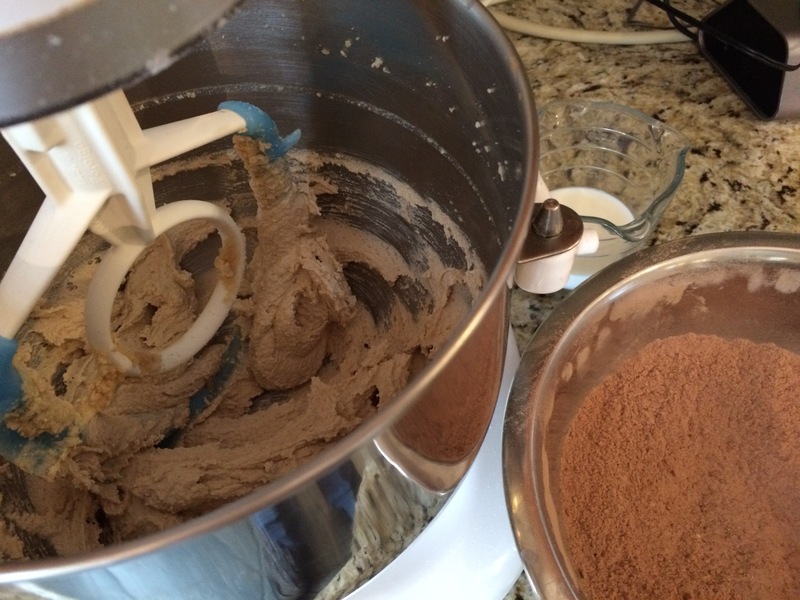 I alternated the dry with the milk, mixing only until just combined as everything came together. All that remained was to roll the dough into a couple of logs about 1 1/2 inches wide and wait as it chilled in the refrigerator for an hour. Almost 4 Dozen Cookies ready to become ice cream sandwiches!!! minutes at 350 and HO BOY ARE THESE GREAT!!! 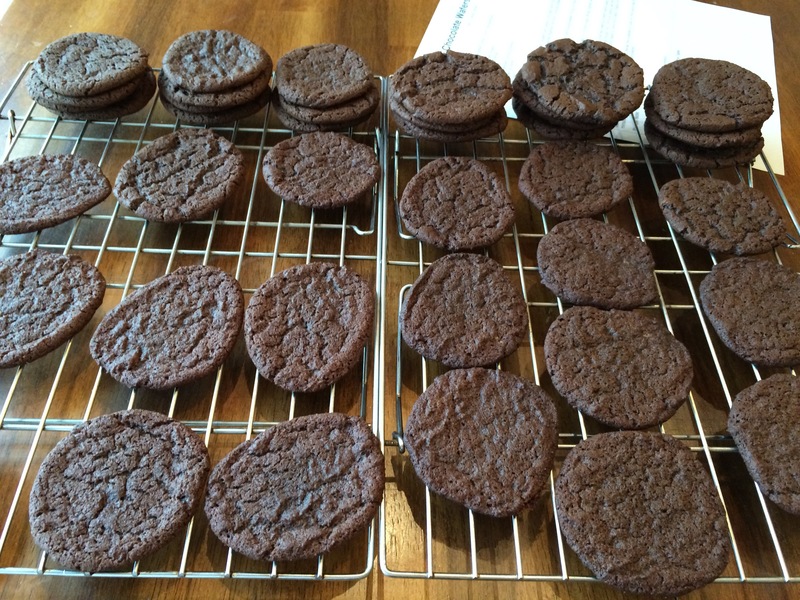 Posted on May 25, 2015 May 25, 2015 Categories Food and DrinkTags Chocolate Wafer Cookies, Cookies, Home Made Ice Cream Sandwiches, kitchen tips, recipesLeave a comment on Chocolate Wafer Cookie Recipe- Yes, You CAN Make These Yourself, and THE BEST Ice Cream Sandwich, too!